BANGI, 27 Sept 2012 – The National University of Malaysia (UKM) has been granted RM1 million in funds for its T-NOVATION strategic initiative at its launch today from the Ministry of Higher Education. The launching of the fund was made simultaneously with the opening of a Symposium on Innovation and Sharing of Best Practices in Teaching and Learning at UKM, by the Secretary General of the Ministry, Datuk Ab Rahim Mohd Noor on behalf of the Minister, Dato ‘Seri Mohamed Khaled Nordin . It was also held in conjunction with the Joint Council Conference of the Heads of Centres for Teaching and Learning in public universities (MAGNETIC). All 13 public universities took part in the two-day conference. T-NOVATION is part of the Transformation Plan of UKM under Deputy Vice Chancellor (Academic and International Affairs), Professor Datuk Dr Noor Azlan bin Ghazali. T-NOVATION is the solution to implement new teaching methods to suit changing conditions. The Transformation Plan is designed to motivate UKM to become a distinguished research university, keeping abreast with the world’s top universities by the year 2018 as well as strengthening its prestige and role in promoting national unity and national identity. When launching the fund, Datuk Abdul Rahim said the ministry is satisfied with UKM’s action plan and approved it after a thorough year-long review. 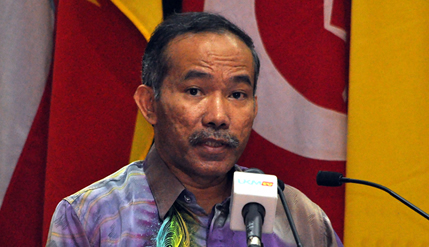 Datuk Ab Rahim acknowledged the willingness of UKM lecturers to be innovative, such as using new tools like Facebook and Youtube to make learning more attractive to students who are computer literate. Other universities also showed the same tendency of changes in teaching methods but the ministry also needed to be cautious to all proposals received as the funds are limited. UKM Vice-Chancellor, Professor Tan Sri Dato’ Wira Dr Sharifah Hapsah Syed Hasan Shahabuddin, in thanking the ministry, said although UKM is a research university, it does not ignore its core commitment as a teaching institution. As a matter of fact, she added, the University should explore new methods of teaching, such as adding value to the curriculum to upgrade the standard of teaching. This can be done through research to improve teaching. She also expressed confidence that innovation and research done by faculty members will improve their teaching methods.